Two Musselburgh Amateur Swimming Club members struck gold at the Scottish Disability Sport National Junior Swimming Championships. 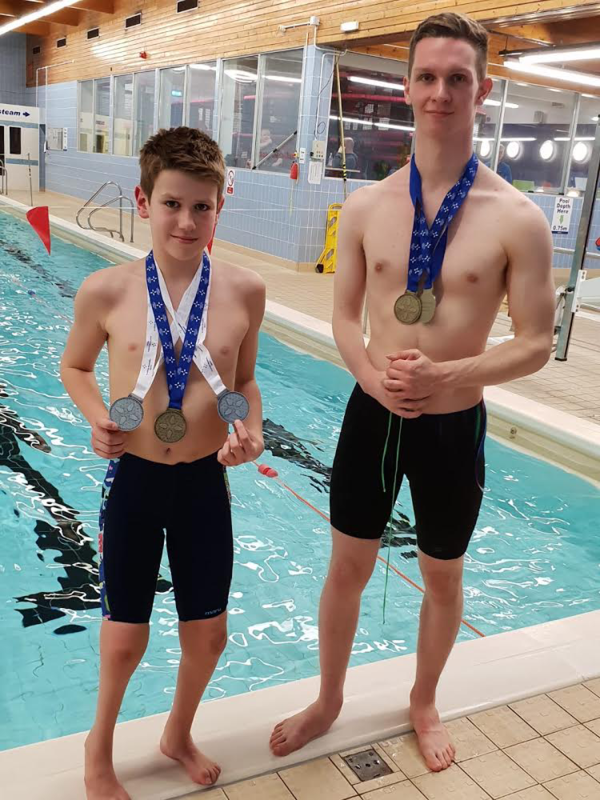 Sam Downie, 12, and Neil Ferguson, 16, represented the Lothian team at the competition for sensory impaired and physically disabled swimmers at Grangemouth winning five medals. Downie won gold in the 75m individual medley and silvers in the 50m backstroke and the 100m freestyle, with Ferguson picking up golds in the 50m backstroke and the 50m breaststroke. Their performances augurs well for the British National Para-Swimming Championships at Manchester this weekend, with Musselburgh Marlins teammate Dylan Bleakley joining them in the Scotland team.